To claim 1 Cor. 2:16—"we have the mind of Christ"—for oneself simply because it is a positive statement from the Bible illustrates how far removed we are from reality in the Christian experience. This is not a promise to be claimed, nor a position to be maintained. Firstly, it is a statement by Paul the apostle relating to his personal experience. 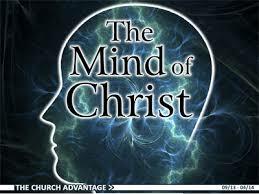 Secondly, if it is to be a reality for you or me, we must understand what is meant by "the mind of Christ." Thirdly, this kind of "pick-a-promise" practice leads to great misunderstanding of the Word, which is on the pathway to deception toward destruction. It has become quite fashionable today to build our understanding of how God does something on one verse of scripture such as in this case. Many doctrines are making the rounds today based on a single verse or two, and extrapolating through logic a complete discourse on the mind of God. If all that were necessary for right standing with God was to come into an understanding of some of the hidden truths of God's Word, then why do we have the whole bible? Is it really loaded with a lot of extra stuff just so only the enlightened can sift through its contents to discover the true light? Did God really intend to keep most of us out of the things of the spirit by hiding everything in a morass of meaningless words? Yet, many are still following after the latest revelation being pronounced by the newest apostle in hopes of finally being able to nail down this elusive quality of life in the spirit. Searching the Word is not complete with just checking the address of the verse used to make sure the preacher got it right. It also involves considering what else the Lord may have spoken by the Holy Spirit on the topic. Consider the mind of Christ. 1 Cor. 2:16 says plainly that "we have the mind of Christ." Taken by itself, I can readily claim it and then begin to understand that the thoughts I have are in line with the mind of the Lord, because "I have the mind of Christ." Since I have the mind of Christ, the thoughts I am thinking must be His thoughts. I just need to start confessing that and get over my fear of "missing it." 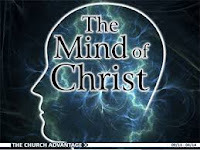 I need to start confessing on a regular basis that "I have the mind of Christ" in order to get rid of stinkin' thinkin'. Pardon me a moment, please. No offense, but where is your scripture for that process? But, I digress. That is a subject for another time. For the sake of argument, let's say that maybe you do have the mind of Christ. How did you get it? Did you follow what the Word says about getting the mind of Christ? What was your practice like, and how many times did you fail before you finally achieved such a status? When did you last acknowledge that you are just a servant doing their duty, not looking for any kind of recognition or reward? Whom do you serve? How do you serve them? That may sound a bit far-fetched for some, so let's look at a different verse concerning the mind of Christ. Notice that the first thing to do is to "let." It is an imperative, a command, if you will. Since that is true, then it follows that it is also possible for the mind of Christ to not be in you. In other words, the mind of Christ is not in you simply because Paul said something to that effect in the other verse we considered. Remember, he did not say that YOU have the mind of Christ. That is an interpretation with a dangerous application. Paul then goes on to describe what the mind of Christ looks like.